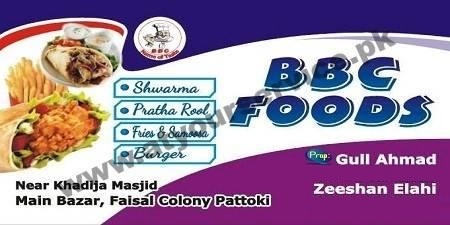 BBC Foods is located in Main Bazar, Faisal Colony, Pattoki. We serve the best fast food in the town. Visit us for very tasty shawarma, pratha roll, burgers, fries and samosas.